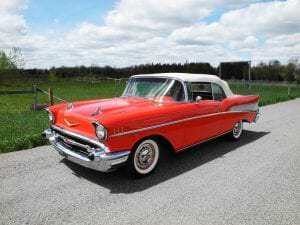 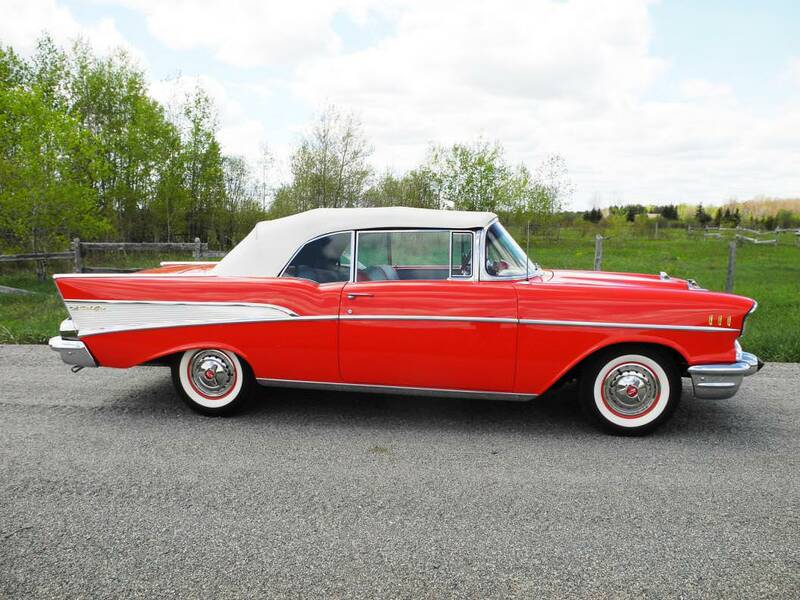 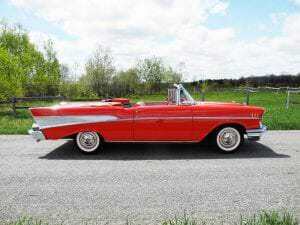 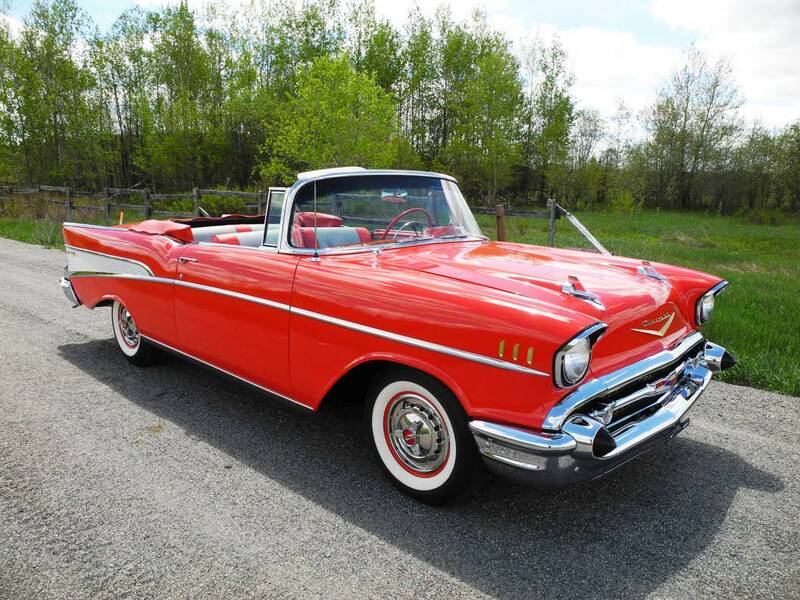 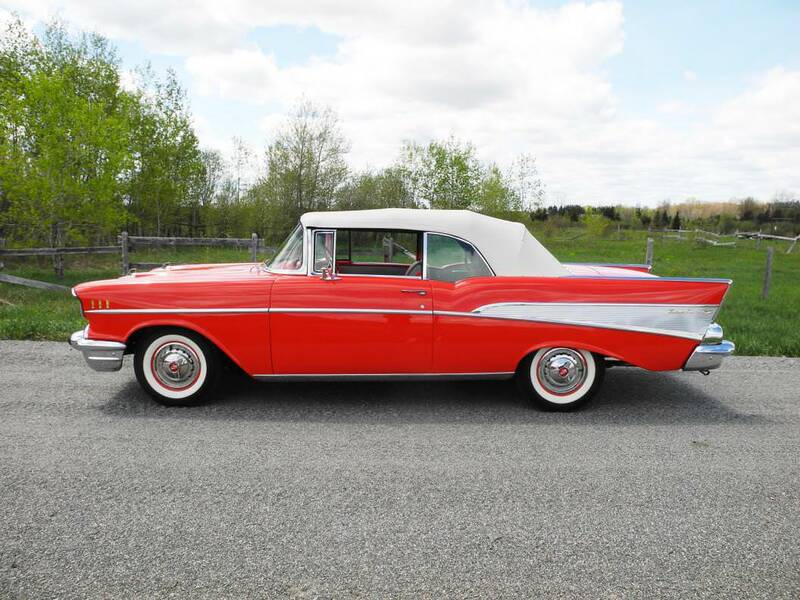 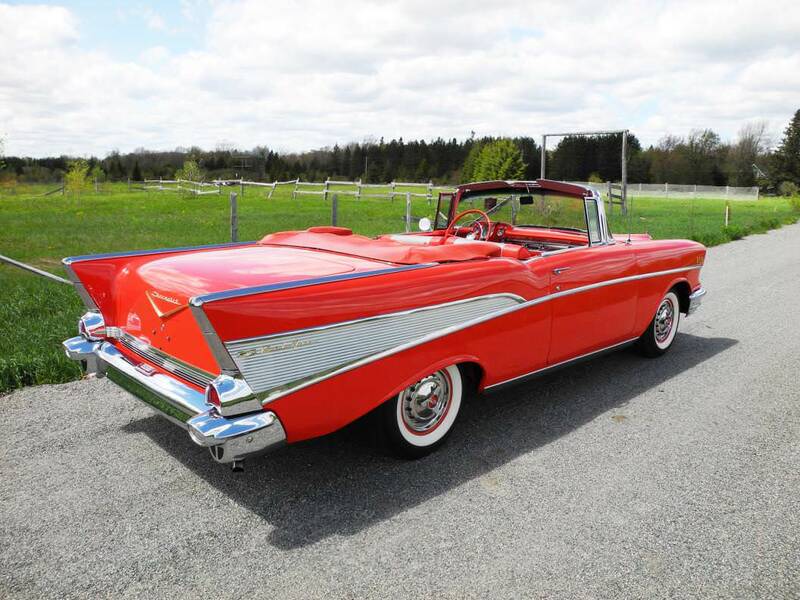 Another stunning two four barrel Bel Air convertible has just been added to the inventory with the other amazing vehicles here at R&R. 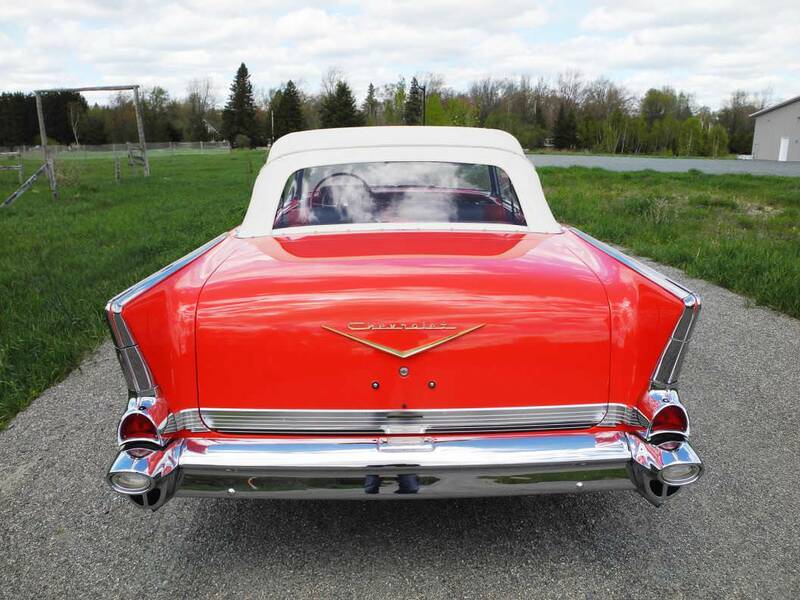 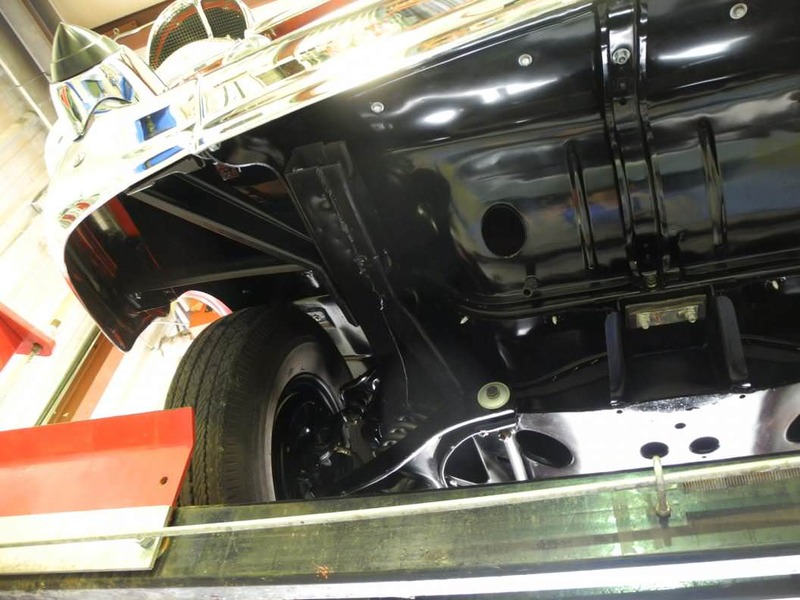 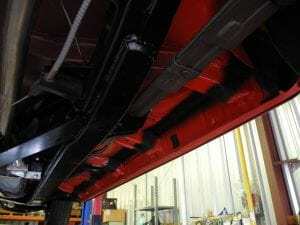 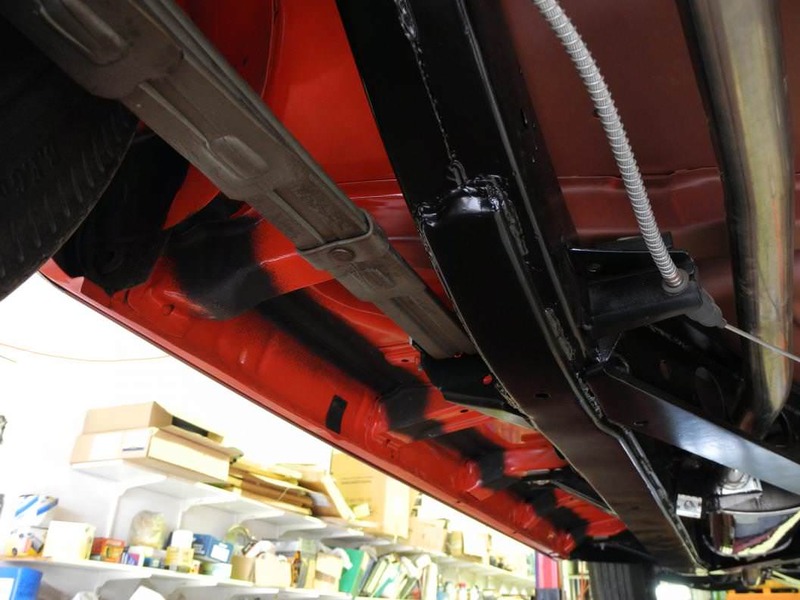 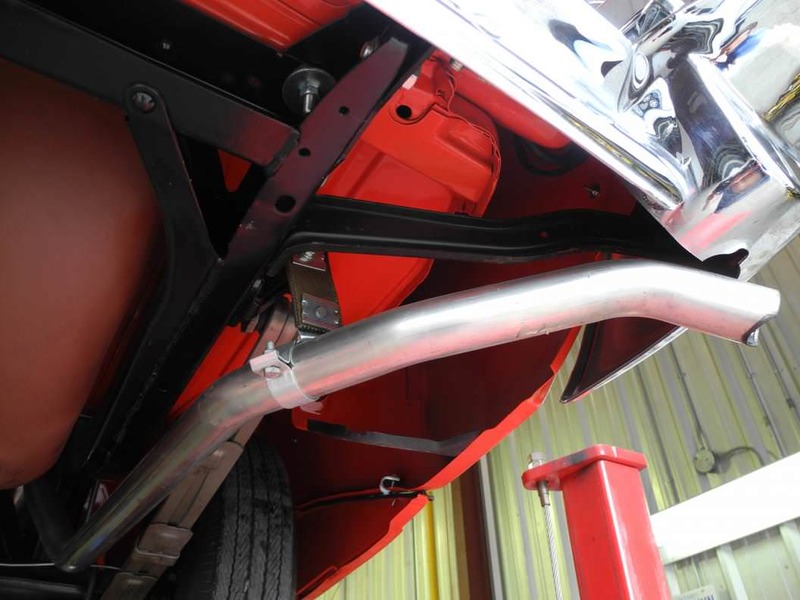 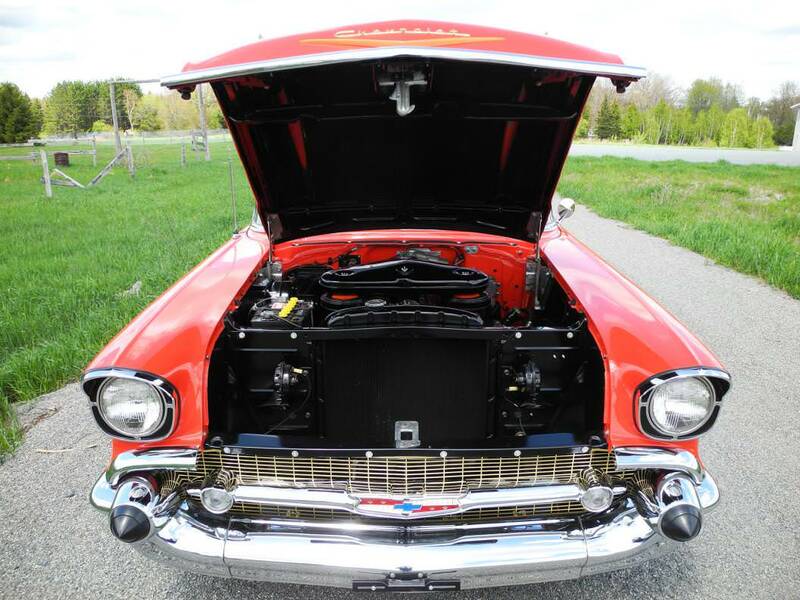 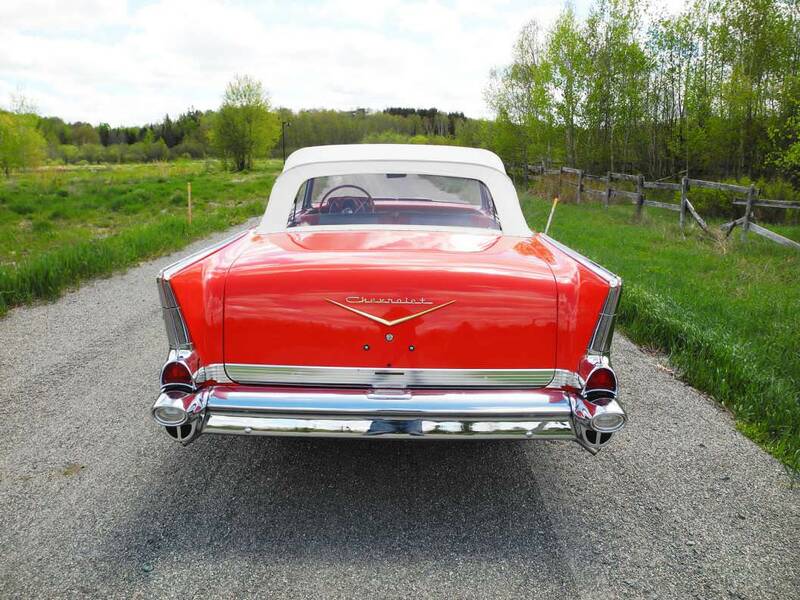 This spectacular auto recently was the recipient of a high dollar frame off nut & bolt restoration. 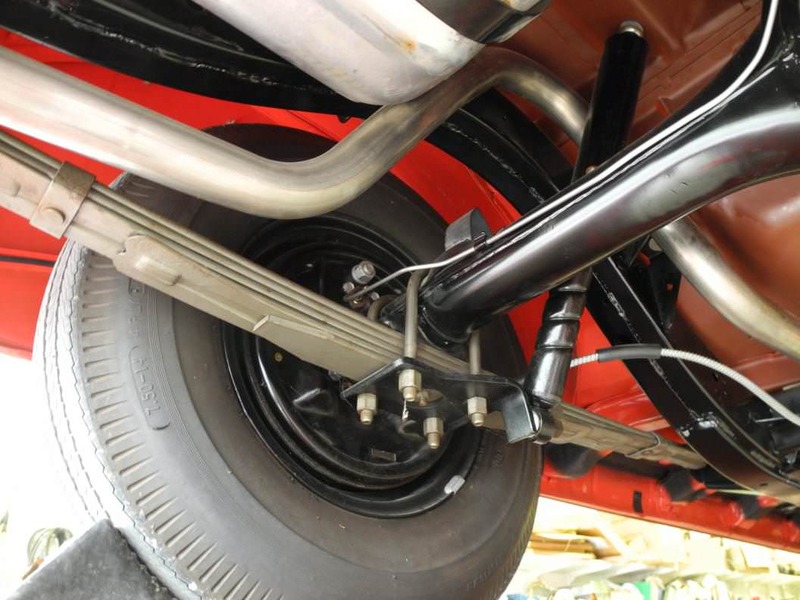 Nothing was overlooked, all drivetrain, mechanicals, interior and rust free body were treated to only the best products available. 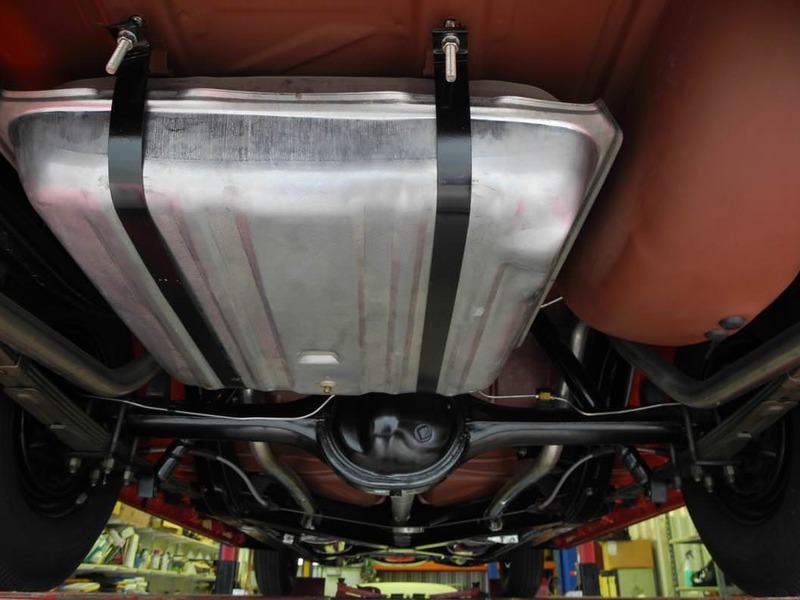 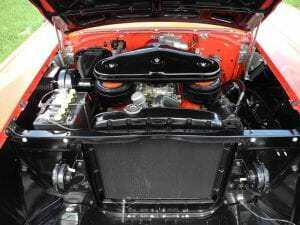 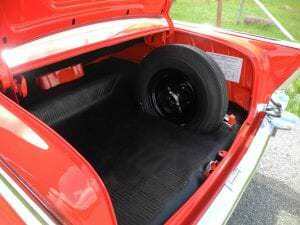 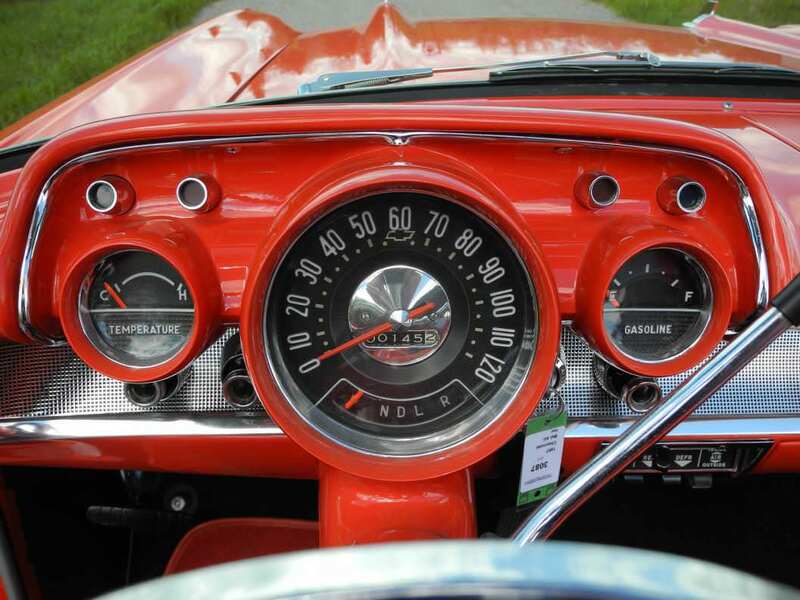 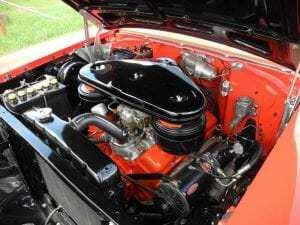 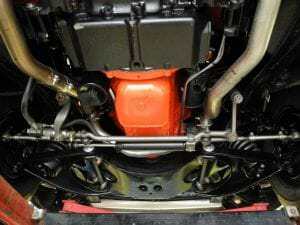 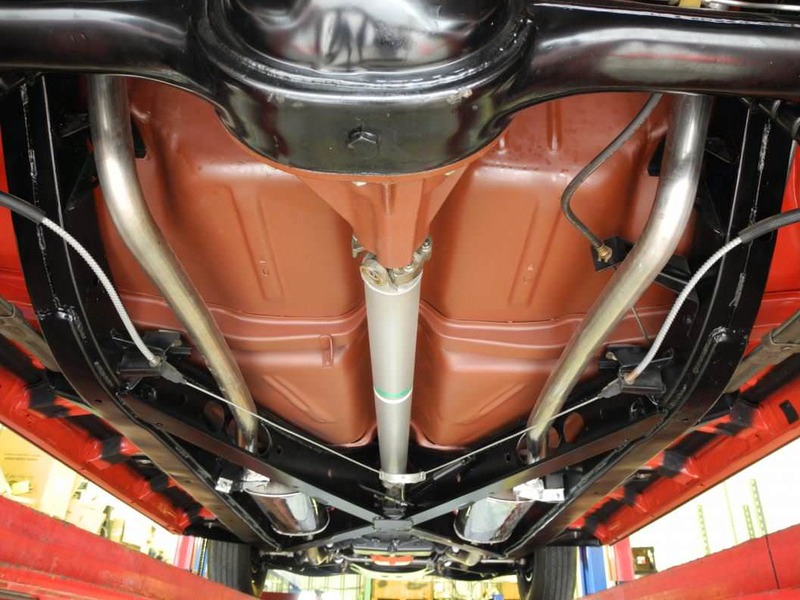 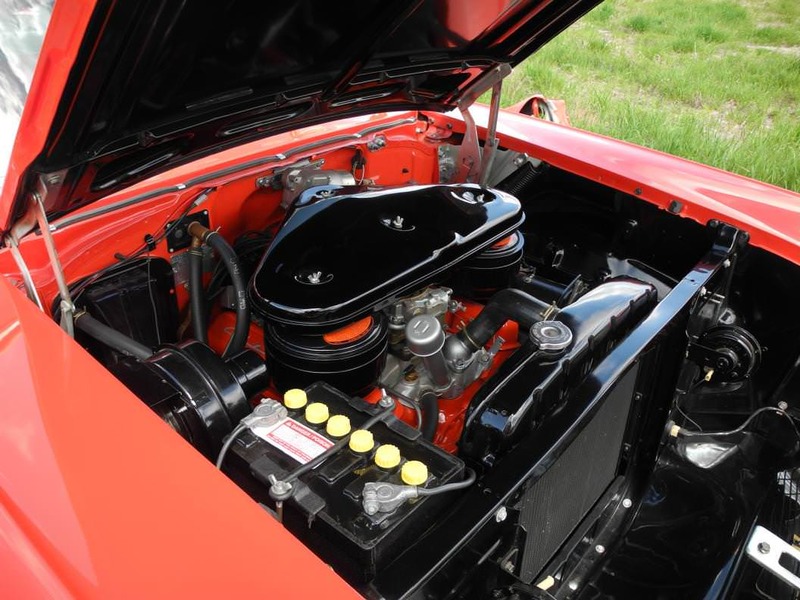 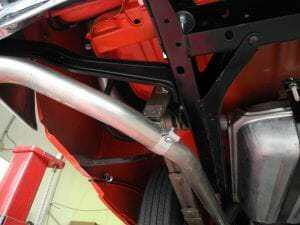 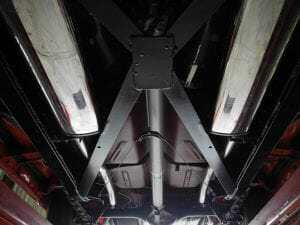 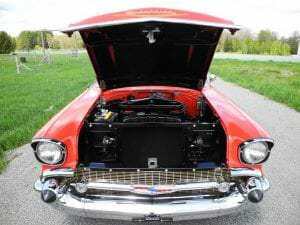 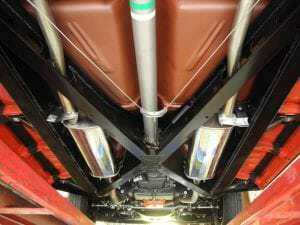 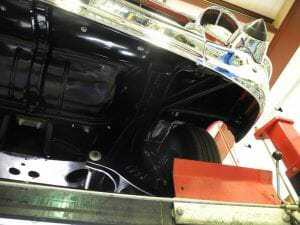 A numbers matching 283 cubic inch two four barrel Carter carburetor V8 engine with correct factory “batwing” air cleaner and dual exhaust is mated to a two-speed automatic transmission, both perform flawlessly. 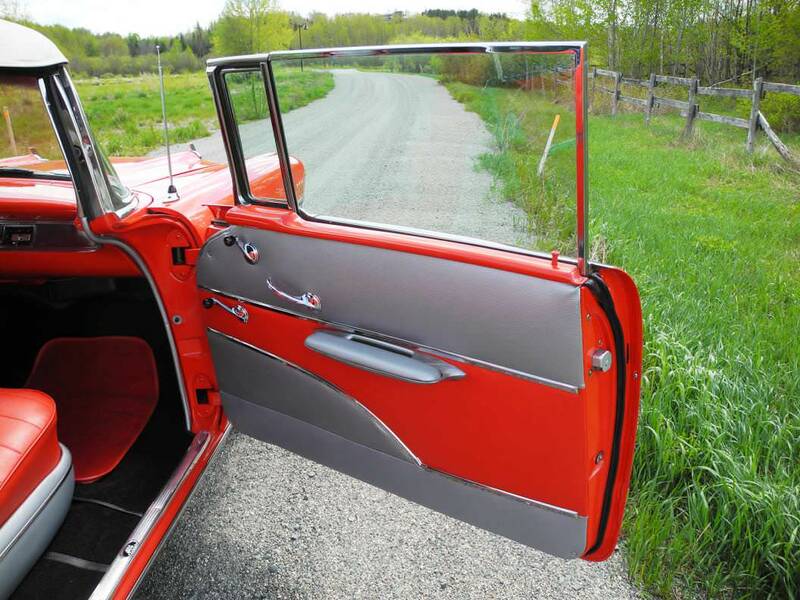 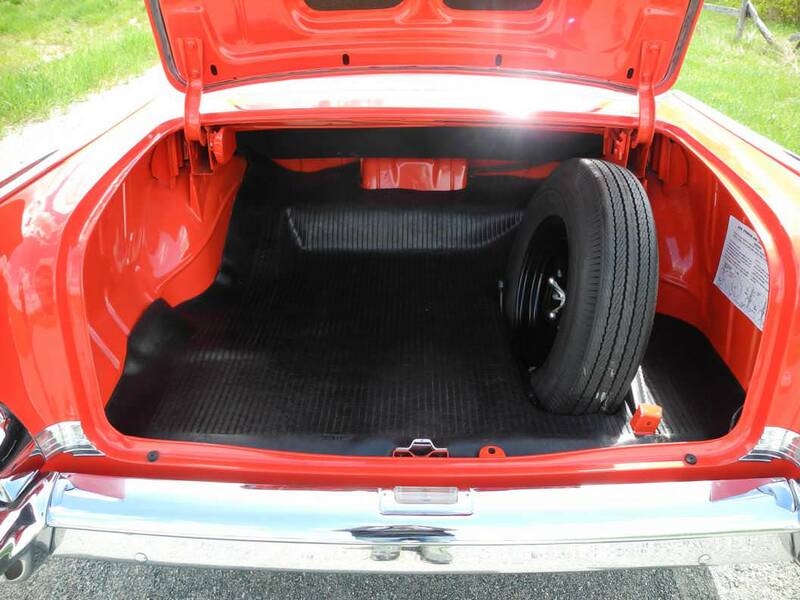 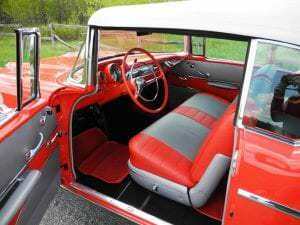 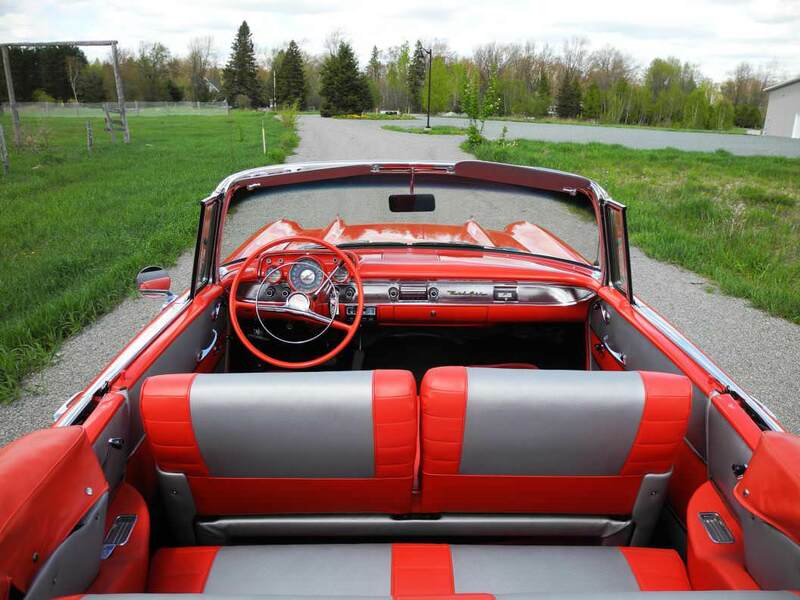 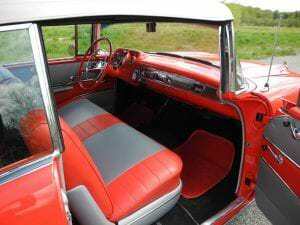 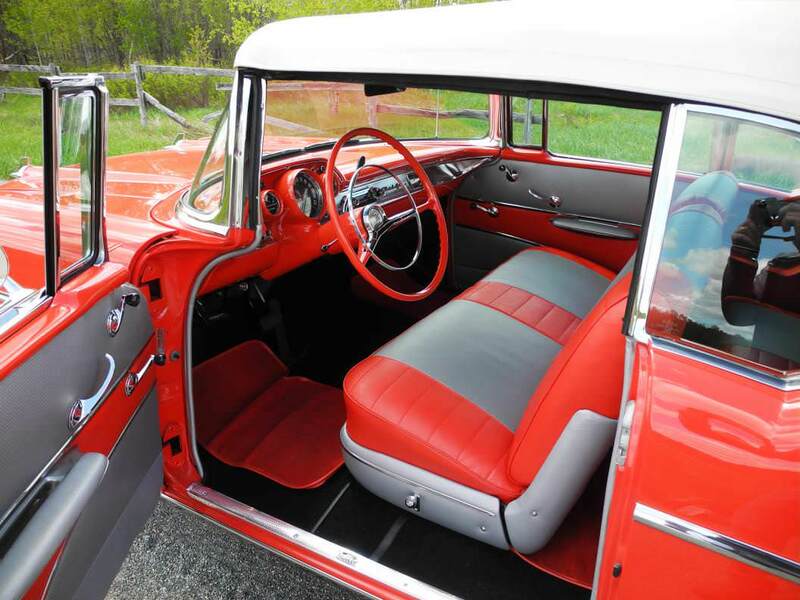 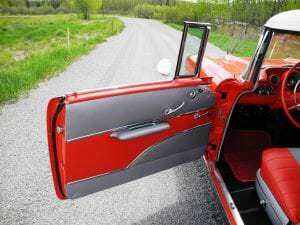 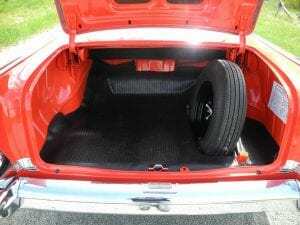 The show quality Matador red finish is spectacular, enhanced with a white vinyl power convertible top and stunning silver/red vinyl upholstery with black carpet and red Chevrolet scripted rubber floor mats. 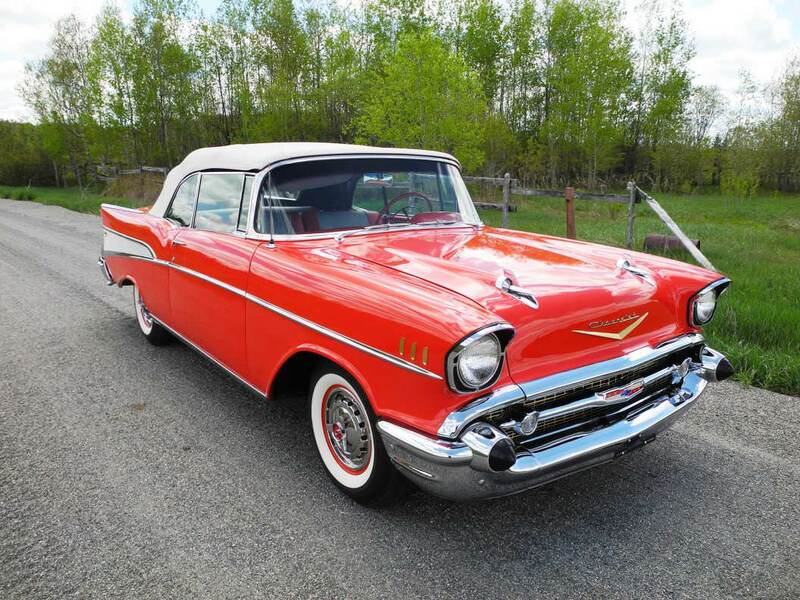 Some options include power steering, electric windshield wipers, AM “wonderbar” radio, rear fender skirts and BF Goodrich Silvertown 750-14 wide white wall tires with spinner full wheel covers. 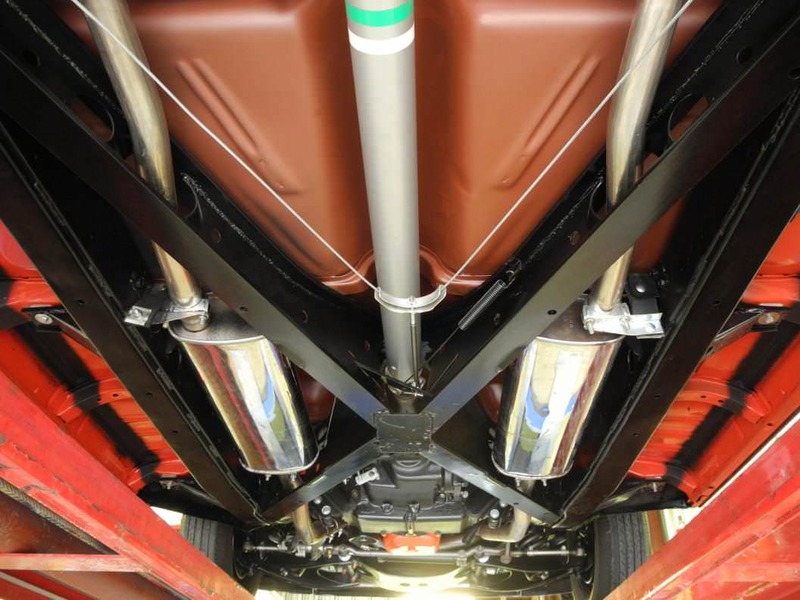 Exceptionally detailed undercarriage boasting correct primered body floors and painted inner panels, black frame and natural finish steering components. 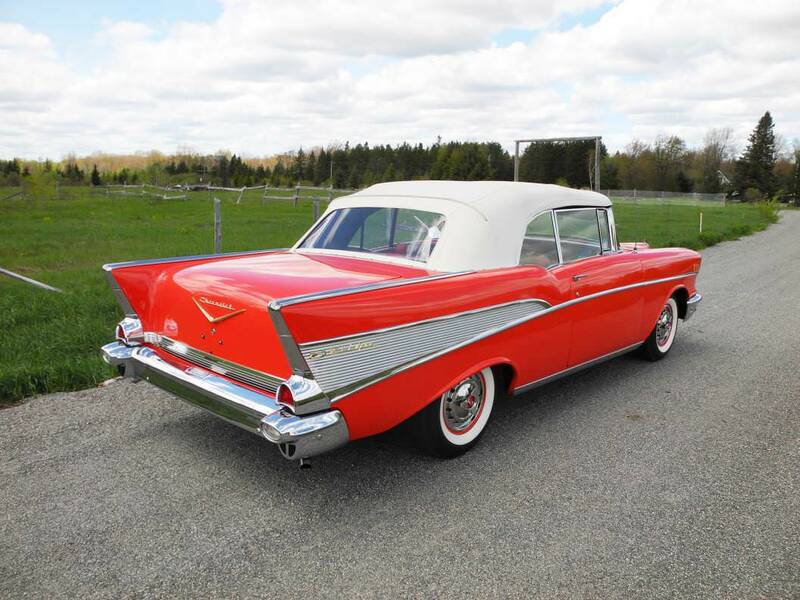 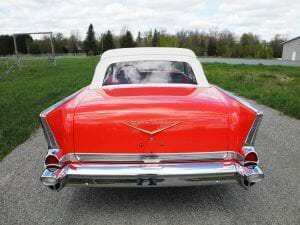 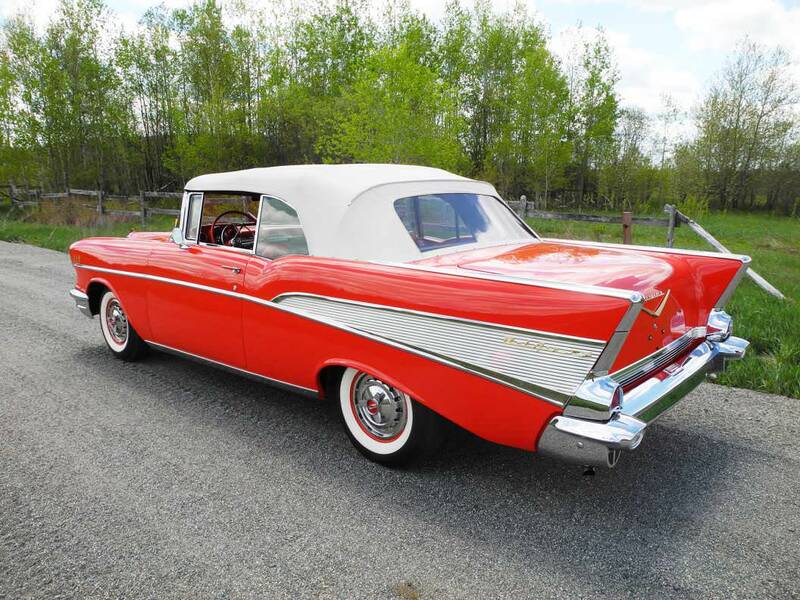 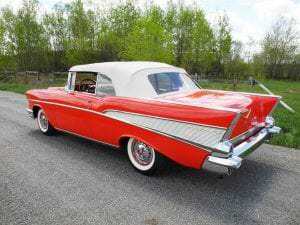 It’s a written fact that fewer “dual four barrels” than “fuelies” V8 Bel Air’s were assembled, a spectacular auto for the discerning collector.